1. The Pavlov Effect – conditioning your customers to always expect a large % or $$ off coupon. 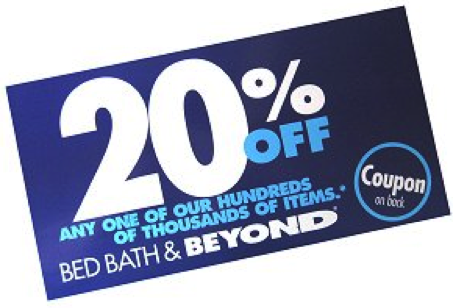 Bed Bath & Beyond is famous for coupons offering 20% off almost any item, but these coupons are given out so frequently, customers have come to expect them, and have become less likely to shop at the retailer without the coupon in hand. As a result, these large discounts are now impacting the bottom line, as BB&B profits fell 10% in the most recent quarter. Alternative(s): One alternative is to provide large, high-value discounts only to first-time customers, and only in exchange for subscribing to receive future (more targeted) offers via newsletter or text. This requires gating the coupon by requiring the consumer to opt-in to a marketing list, and then segmenting that list over time based on individual user behavior. Another alternative is to provide value to the coupon from another angle, not just money saved. Interactive and emotionally-engaging content like gamification, humor, social awareness, and multi-media all encourage brand engagement and list growth. Alternative(s): A good platform or tool will optimize the user experience across desktop, mobile and tablet. In addition, it will also optimize across the various screen sizes and form factors to account for different iOS and Android phones as well as tablets. 3. If you don’t market It, they will not come – not promoting the campaign effectively across all customer touch points and channels. Alternatively stated, marketing is often done in silos and does not always take advantage of all consumer touch points including in-store (shopper marketing), paid (print media, digital, media), social, and owned media (company website, email, SMS). We have seen many cases of social marketing being separate and distinct from CRM (email, SMS) marketing, which is separate and distinct from shopper marketing. As a result, campaigns are hard to track across media channels and it becomes impossible to accurately attribute campaign performance to marketing spend. Simplify: Keep to the 80/20 rule. CTA text should take up no more that 20% of the display area. Test and measure: To optimize conversions through any marketing channel, you must test the design, placement, and copy of your CTAs to determine which perform best. 5. Did you miss the forest for the trees? – not designing your campaign to achieve your campaign goals. Before designing a campaign, you must understand the key campaign objectives and KPIs. Is the primary goal to drive foot traffic to the retailer? Or is it to drive brand engagements? Or increased basket size? Or lead generation? The optimal campaign user flow can vary greatly depending on the campaign objectives! Alternative(s): Mobile users engage with content in short, goal-oriented bursts, and your campaign should reflect this behavior. 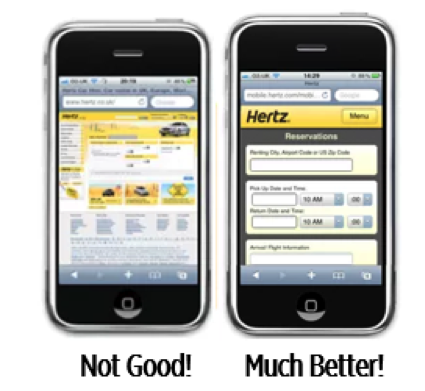 Don’t try to make a mobile campaign all things to all people, choose a specific goal and design the campaign to hit it. Clearly document your campaign objectives and key performance indicators (KPIs) for the campaign before you begin ideating with vendors. You can do this through a campaign brief that provides a campaign background, objectives, campaign dates, budget, target audience, and KPIs. Design the campaign in a way that helps achieve your campaign goals. For example, if you are trying to generate leads from an event, you may need to provide incentives in exchange for their lead through digital content, physical prizes or some other game mechanic. 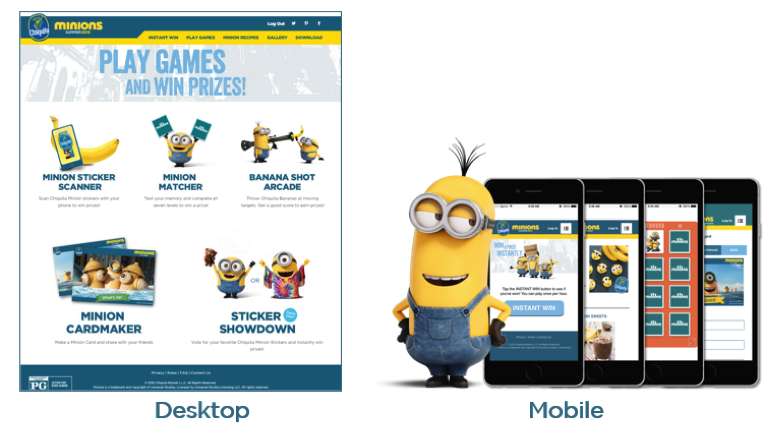 Gamify your campaigns to encourage brand engagement and consumer opt-in. Design content that can be leveraged across all of your marketing channels. 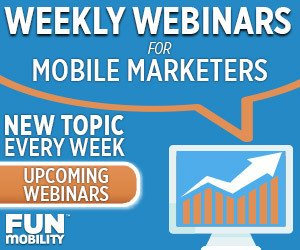 Optimize the user experience across device types (desktop, mobile and tablet) and marketing channels. Create clear and effective CTAs that incentivize the user to take action, hopefully urgent action. Finally, all of these best practices and game mechanics should be designed to meet your specific campaign goals and objectives. These may include brand awareness, retail store foot traffic, brand engagement, CRM opt-ins, lead generation, basket size increase, etc.